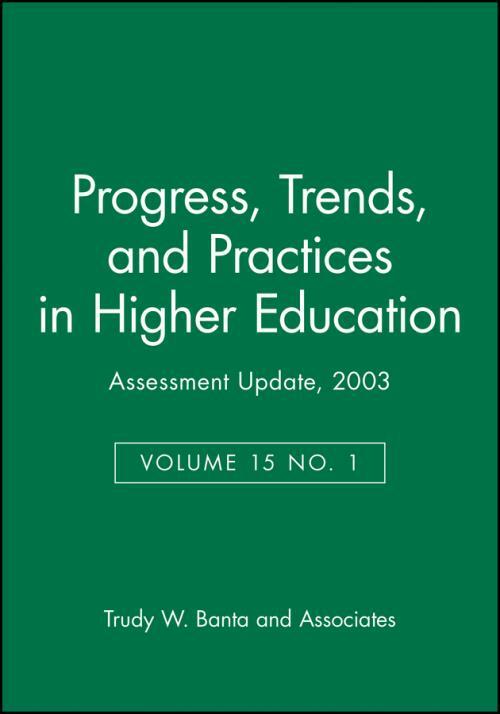 Since 1989 with Founding Editor Trudy W. Banta, this periodical has kept the field abreast of the latest trends and best practices in assessing higher education. Assessment Update is an award–winning bi–monthly publication. Assessment Update is dedicated to covering the latest developments in the rapidly evolving area of higher education assessment. Assessment Update offers all academic leaders up–to–date information and practical advice on conducting assessments in a range of areas, including student learning and outcomes, faculty instruction, academic programs and curricula, student services, and overall institutional functioning. Any administrators or faculty with responsibility for assessment.